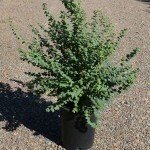 Compact, spreading shrub with arching branches. Soft pink flowers in spring are followed by an abundance of rose-pink fruit in summer. Prefers light shade. 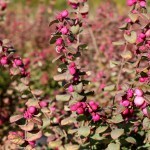 This thicket-forming shrub can be used as a hardy groundcover on banks and slopes for erosion control.